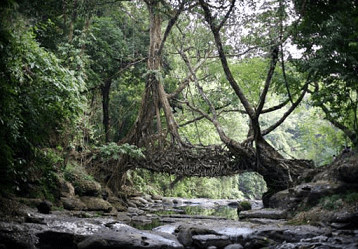 Sacred Groves of Meghalaya – complete detail – updated. Description of Sacred Groves of Meghalaya. Importance of Sacred Groves in Meghalaya. 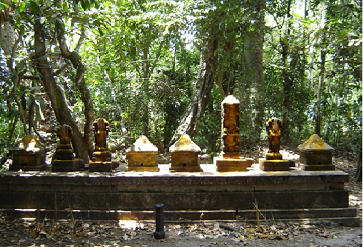 Sacred groves are considered as one of the most species-rich areas for plants, birds and mammals. 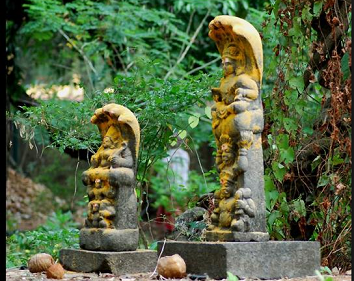 The people of Meghalaya believe that the sacred groves are the abode of deities. The grove at Mawphlang, near Shillong has attracted many eminent and internationally known botanists. Sacred groves are forest fragments, which are protected by religious communities, and have a significant religious connotation for the protecting community. Local people believe that the Sylvan deities would be offended if trees are cut and twigs, flowers, fruits, etc. are plucked. These groves are considered as one of the most species-rich areas for plants, birds and mammals. Unlike in most parts of India, more than 90% of Meghalaya’s forests are owned, not by the government, but by communities and individuals. Most of the groves are located in the catchment areas of major rivers The lum Shillong – Nongkrim sacred groves, for instance, are the source of as many as 8 streams that supply water to Shillong. The information on floristic richness of the sacred groves of Meghalaya revealed that at least 514 species representing 340 genera and 131 families are present in these sacred forests. The sacred grove biodiversity compares favorably with that of the core area of some of the biosphere reserves in this region (Nokrek biosphere reserve), which are being managed by the state forest department. This bears testimony…………. Sacred groves are forest fragments, which are protected by religious communities, and have a significant religious connotation for the protecting community. 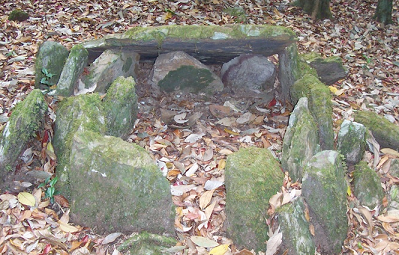 The people of Meghalaya believe that the sacred groves are the abode of deities. It bestows the welfare of people, their cattle & land, and keeps the evil spirits away. Those who do not obey the traditional norms of these groves may have to face the wrath of the deity. A religious belief is one of the major factors for conservation of plant resources in such groves. Local people believe that the Sylvan deities would be offended if trees are cut and twigs, flowers, fruits, etc. are plucked. These groves are considered as one of the most species-rich areas for plants, birds and mammals. Unlike in most parts of India, more than 90% of Meghalaya’s forests are owned, not by the government, but by communities and individuals. Most of the groves are located in the catchment areas of major rivers The lum Shillong – Nongkrim sacred groves, for instance, are the source of as many as 8 streams that supply water to Shillong. The information on floristic richness of the sacred groves of Meghalaya revealed that at least 514 species representing 340 genera and 131 families are present in these sacred forests. The sacred grove biodiversity compares favorably with that of the core area of some of the biosphere reserves in this region (Nokrek biosphere reserve), which are being managed by the state forest department. This bears testimony to the efficacy of the traditional forest management systems practiced by the locals. The grove at Mawphlang, near Shillong has attracted many eminent and internationally known botanists. The climax vegetation at higher elevations in Meghalaya, as at Cherrapunji, is today represented only by sacred groves. The Cherrapunji ecosystem that now stands decertified due to deforestation is unable to recover to its original state as represented by the sacred groves.